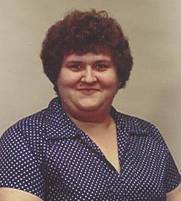 Judy was a founding member, past President and Vice President of the Association of Mayor's Court Clerks of Ohio, charter member of Central Ohio Mayor's Court Clerks Association and Chairperson of the AMCCO Education Committee 1996-2003. Judy assisted in the development of the Mayor's Court Certification Program through Kent State and was instrumental in establishing the New Clerk Training. The Judy Penn Memorial Education Fund was established in 2003 by the Central Ohio Association of Mayor's Court Clerks as a tribute to Judy's many contributions to the education of Clerks and to provide training to Mayor's Court Clerks throughout Ohio who may be unable to afford these important educational opportunities.